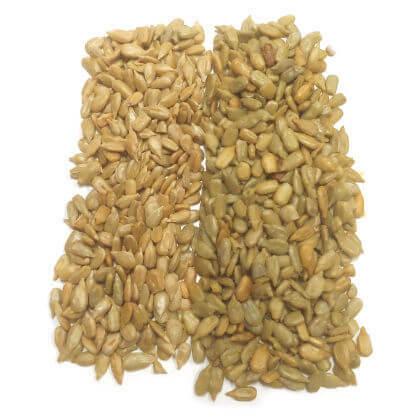 Freshly roasted sunflower seeds, already shelled. Kosher. Approx. volume of 9 oz bag is 2 cups.